It’s time to unwind, and to do it in style. 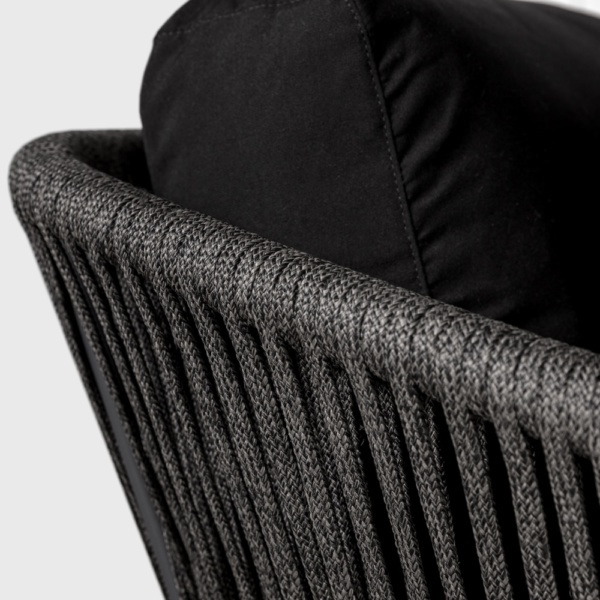 The Washington Rope Outdoor Sofa is the answer to your wish of relaxation and rejuvenation! 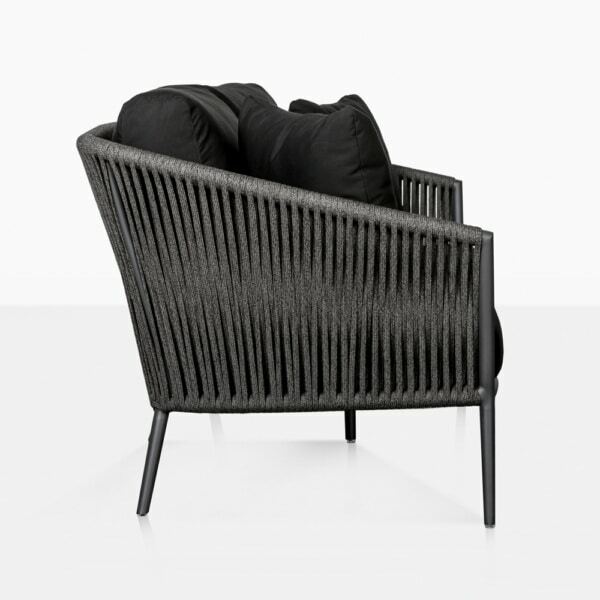 Stylish, modern and incredibly comfortable, this is the piece of patio furniture that will define a space and add significant impact to your outdoor area. Part of the unique and luxurious Washington Outdoor Furniture Collection, the patio Sofa is the key piece in a stunning collection of contemporary and comfortable furniture. W80" x D30" x H34"
All pieces encompass a terrific blend of urban style mixed in with a touch of mid century flavor that really have people turning heads when marking this trendy garden set. European woven rope wraps around a powdered aluminum frame. It’s long lasting, impressive and ready to take home today. 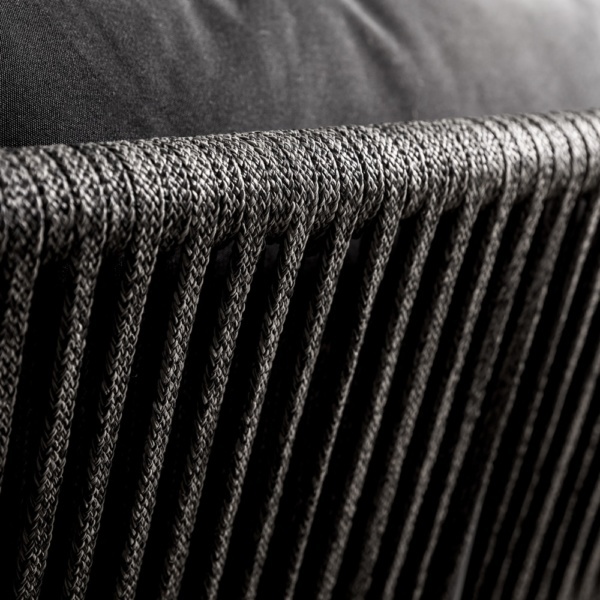 It’s the materials that really make a difference at Teak Warehouse; the combination of strong materials with looks that is airy and welcoming is so very satisfying! 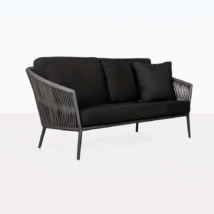 Make the Washington Outdoor Rope Sofa the centerpiece for your patio set, place a Washington Rope Club Chair on either side, with perhaps a Concrete Table in the middle and you’ve got a sleek and modern set up ready for enjoying relaxed drinks with friends, or blissing out on a long summers afternoon. If you need to cater to your dining table why not add some of our beautiful Washington patio Dining Chairs to really bring the look together. The Washington designer patio sofa is not just suitable for outdoors. 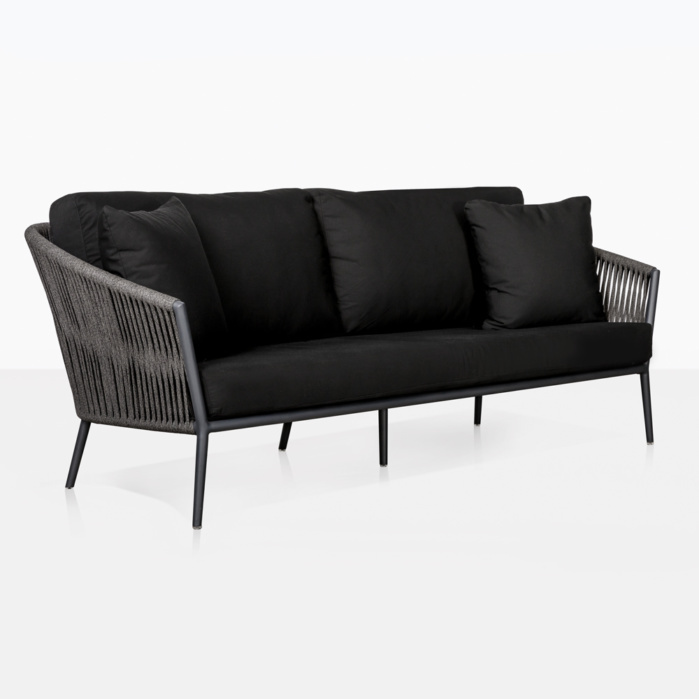 Bring this incredible couch into your home or office for a stunning and chic look inside! 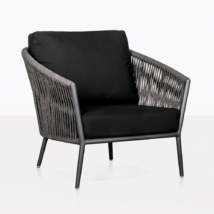 Wondering how something so upmarket and elegant can be suitable for outdoors? 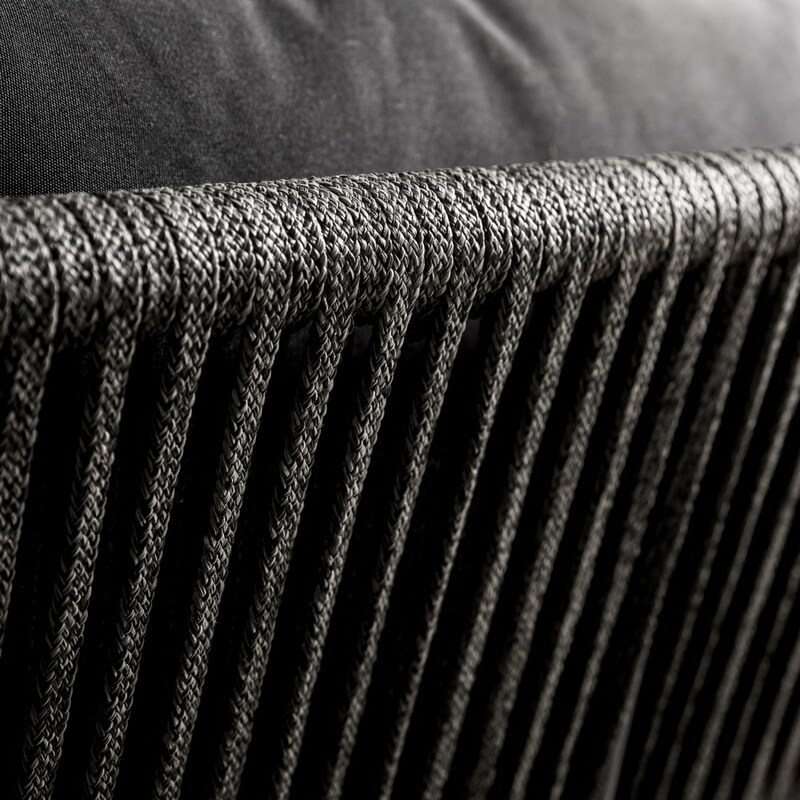 We only use the best materials to make the Washington sofa and garden collection. Be impressed by the powder coated aluminum, polypropylene Rope, and Sunbrella® cushions with QuickDry® foam, giving you a range of patio furniture completely suitable for all weather! 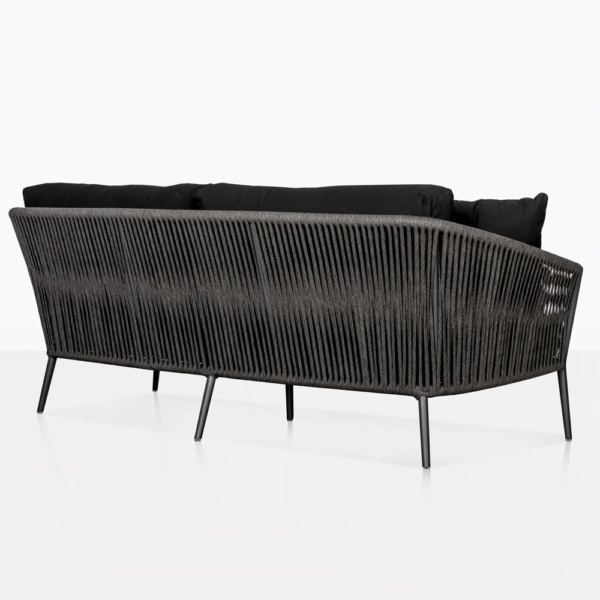 Purchase your Washington Rope Outdoor Sofa today! Remember, Sunbrella® cushions with QuickDry® foam come free with every purchase of Washington furniture as shown! Shop online now or call us today to place your order.